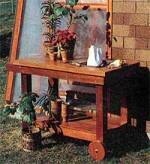 Whether you are a novice or master gardener a potting bench or table makes it much easier to plant and transplant flowers and vegetables plants. 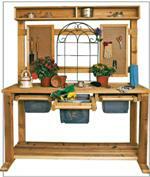 Use your creativity and integrate two or more potting bench or table plans together. 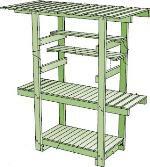 Selection of manufactured potting benches . 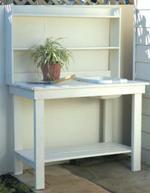 This potting bench is made from an old wood gate and scrap lumber. A unique potting bench crafted from a wood door. 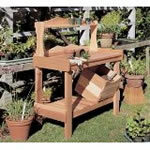 A potting bench that is mobile, allowing you to take it to where it is needed. This gardening bench is a little more difficult to construct, but worth the effort. This garden work center has a clean look. 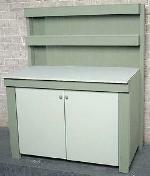 Cabinet doors provide the potential for locking up hazardous gardening chemicals.